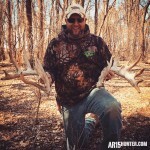 Nebraska is known for large Whitetail Bucks, but I never had a chance to harvest a true giant, until this past season. 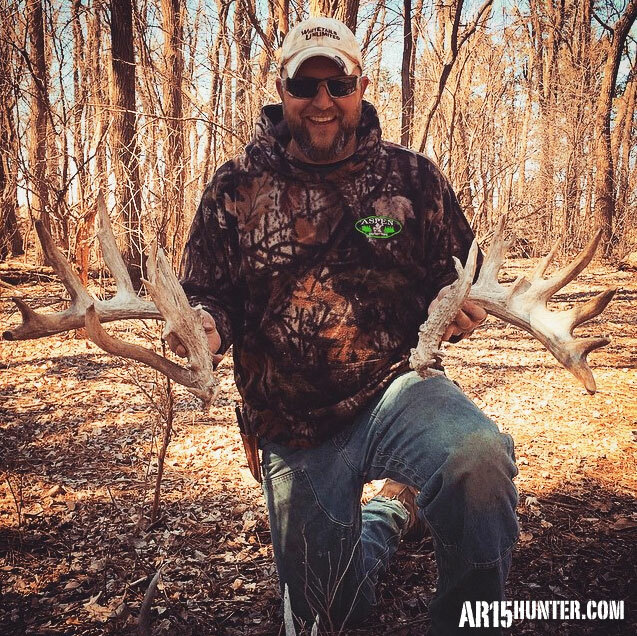 Back in 2013, I started hearing stories of a huge white-horned buck with matching split G2s in our area. I got a good look at him through heavy cover one time in 2014, but never got him on any camera pics. Knowing that he was around, and that he was a great deer, this buck was on my mind for the 2015 season. Opening day of the 2015 rifle season, I watched the same giant buck chase a doe about 300 yards from my blind, in the timber. I was excited to see him again, and know that he was alive and well, still in my area! I hoped to get another chance at him soon. 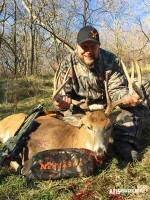 The Author with his Giant Nebraska Whitetail Buck! On Thursday, November 19th, at 2:00 in the afternoon, there were heavy winds, and cattle in front of me drinking from a pond. So, I wasn’t expecting to harvest the biggest deer of my life but it finally happened! I saw the giant buck 100 yards away, skirting the pond and cattle, as well as the clearing. He was staying in heavy timber, so I waited patiently for my shot opportunity. When it finally presented itself, I sealed the deal with my 6.8 SPC AR15 rifle that I built myself. The well placed, SSA 110 grain Sierra Pro Hunter hit him hard, so he only ran 30 yards and expired. 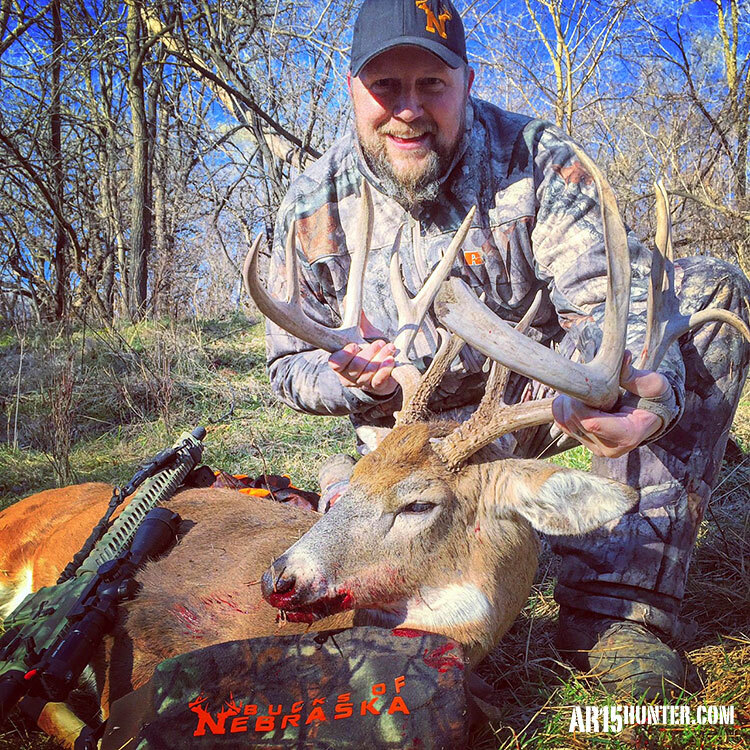 After years of passing small bucks, taking does and maintaining mineral sites with Gravestone Mineral supplement, I had finally taken a true Nebraska giant whitetail, with an unofficial 180″ gross! 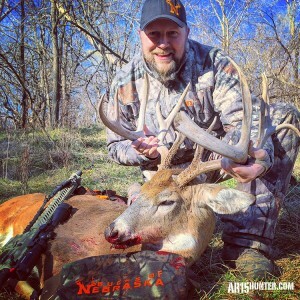 Another Shot of the Author’s Giant Nebraska Buck! 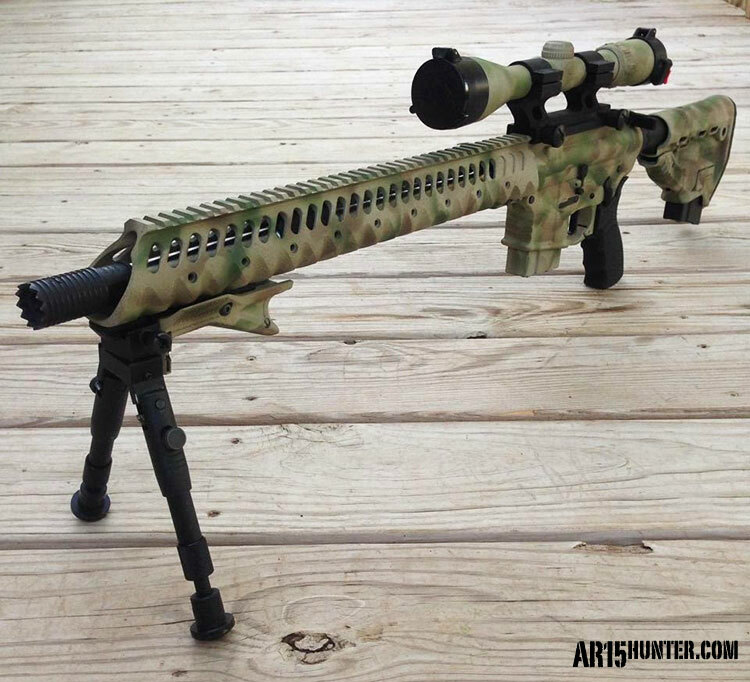 The Author’s AR15 in 6.8 SPC. I am a dad, husband, tattooed farmer, goat-rancher, hunter, Star Wars fan, weapon enthusiast, dealer & builder (AR15).I am also a Pro-Staff Member of Bucks of Nebraska, and a Whitetails Unlimited event coordinator.